The chakras are unseen, but they can be understood by studying their effects, just like you can’t see electricity but you know that your refrigerator won’t run without it. Each chakra corresponds to a physical organ or part of the body, and to emotional and mental aspects of the individual. It’s important to keep the energetic balance of the body harmonized for optimal health, emotional stability, mental functioning and sense of well-being. One way to do that is to use crystals. Like everything else in the universe, crystals are just vibrations of energy (in a very dense form), and the specific vibrations of each type of crystal correspond with specific vibrations of the chakras. 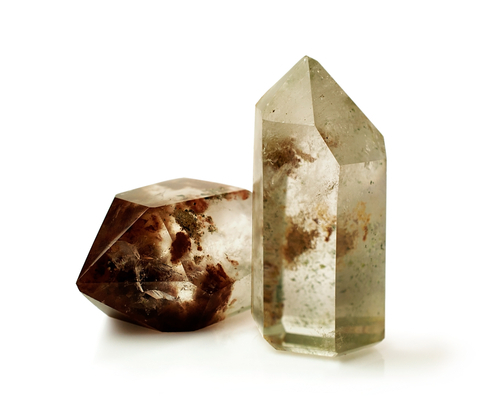 For example, a green stone such as tourmaline has a frequency that will bring the heart chakra into balance. Before we get into the specific placement of crystals, it’s important that you give yourself enough time. Find a quiet place where you won’t be disturbed for at least 30 minutes. All electronics should be turned off to avoid interruptions (no texting!) and electromagnetic interference. First, have a very clear intention of what you need to heal or improve. Be very clear on your intended result. Make sure that you clean your stones in cold running water before a session; alternatively, you can leave them in direct sunlight to purify them. When you use crystal placement alongside meditation, you will greatly enhance the experience and the effect! Round-sided tumbled stones are ideal for body placement, but you can use any shapes or sizes as long as you are comfortable (sharp, pointy protrusions are not recommended). Don’t worry about the size of the stone. Its power is in its vibration, not in its mass! Finally, thank and bless each stone. The stones interact with your energy too – so if you’re feeling a lot of anger, for example, it will affect the energy of the stone. So you want to infuse each one with unconditional love, gratitude and appreciation before you use it for healing! The color and energy of each stone will naturally resonate with a specific chakra, restoring structure, harmony and balance to your entire system. For the best healing, concentrate on the chakra nearest the area you are experiencing physical problems. Or, if you’re wanting to improve some aspect of yourself, concentrate on a chakra that governs the qualities and traits you want to develop. There are many more stones commonly associated with the chakras. If a crystal or gemstone “speaks” to you, it is important to you and therefore should be used. In general, follow the color scheme but you can go with your intuition, too – if a stone just feels right being used on a particular chakra, then it IS right. Place the appropriate stone on its associated chakra, and visualize a white, healing energy of love and healing entering your body with each inhale… and all stresses, pains and negative thoughts and energies leaving your body with each exhale. This is not just a silly imagination game – your thoughts are things. 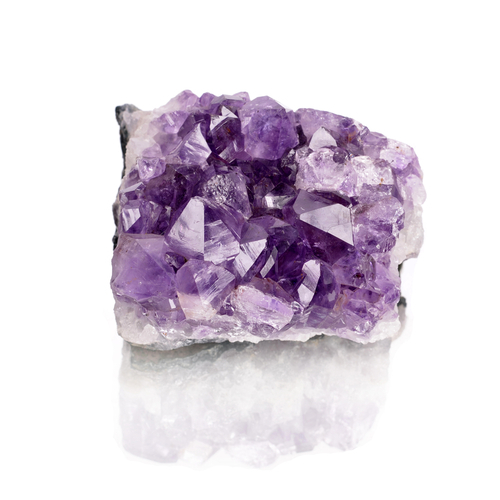 They have energy too, and the right use of your thoughts will amplify the effect of the crystals’ healing. Direct your energy as the crystals rest near their respective chakras. Move your energy from the root chakra to the crown chakra. Visualize the chakra as a glowing sphere, spinning rapidly and freely. You may find that some chakras intuitively feel closed off or inactive… while others feel uncomfortably energized, almost with an electric buzzing feel. It’s important to balance the entire system, if this is the case, so that no chakras are underactive or overactive. Leave the stones in place for at least 10-15 minutes (or longer). Maintain a positive attitude, ALWAYS focusing on the desired end result and not the problem you want to heal. Remember to cleanse the stones afterwards, with blessings and gratitude, for all their help and healing!